While I'm not entirely comfortable with the term “janglophile”, I get it. Particularly when it comes to writing about a jangly, summery indie rock band for the umpteenth time in a singular month. How do we keep doing this without resorting the lazy out of RIYL? One counter is to coin “janglophile” and use it lovingly to praise the nifty guitar work of the Halifax band Monomyth, particulary on the uplifting “Something Else”. The second single from Saturnalia Regalia bleeds optimistism through each passing lick and riff, each build to a higher plateau as though Monomyth are physically climbing in order to gain a vantage point to the furthest horizon. By the close of “Something Else”, Monomyth are at a vista worth capturing on Instagram with the caption: “found something else”. 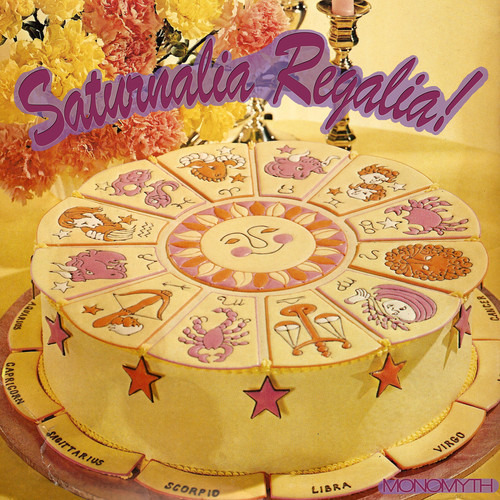 Monomyth's Saturnalia Regalia is out July 22 on Mint Records.